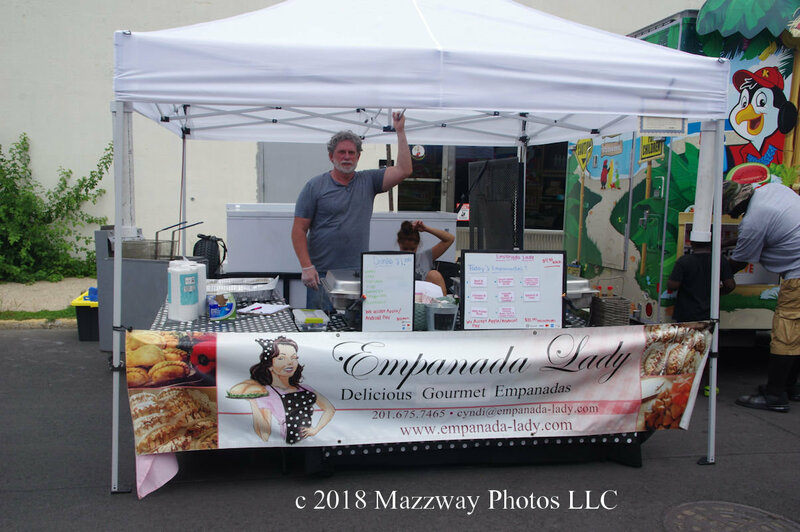 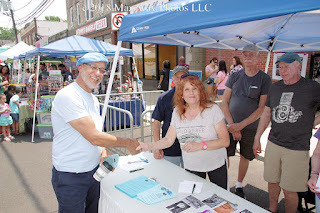 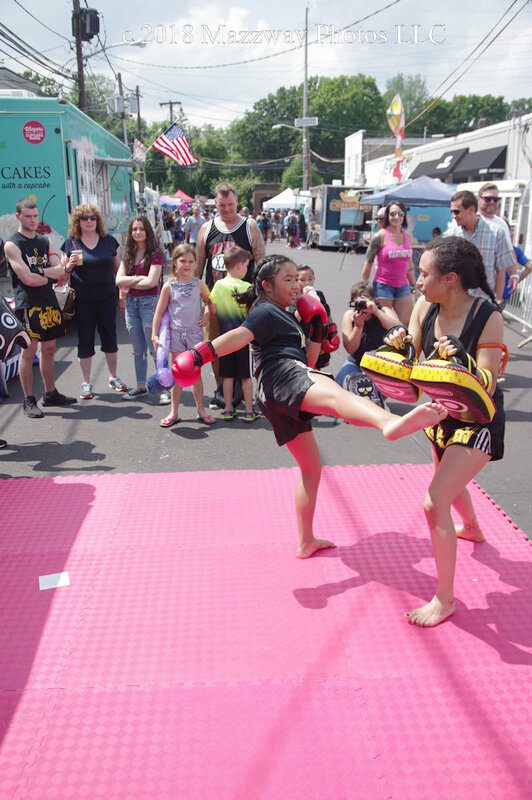 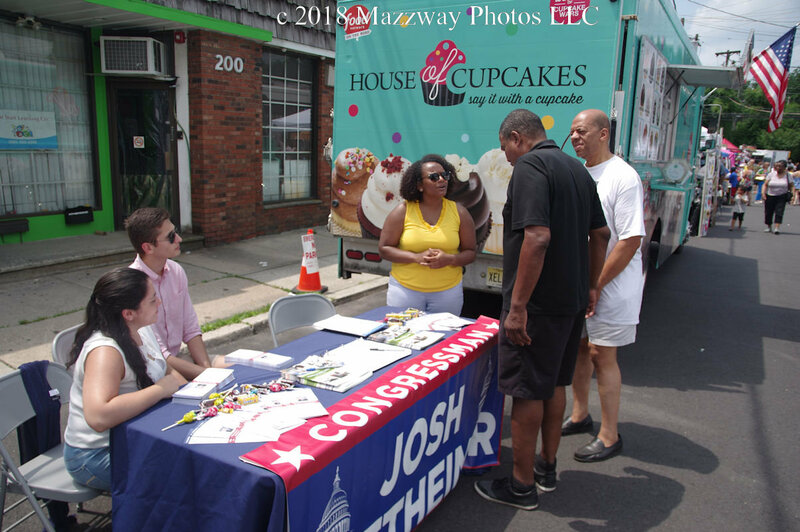 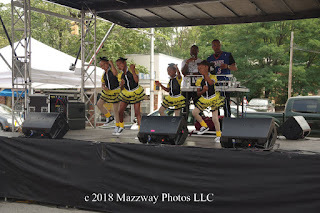 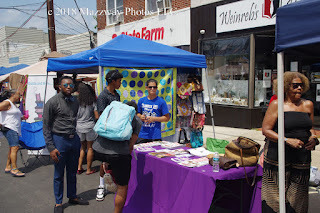 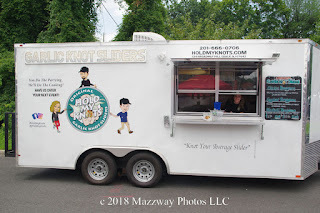 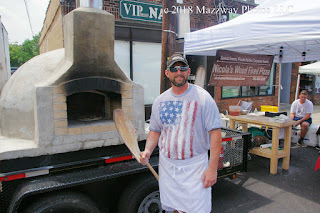 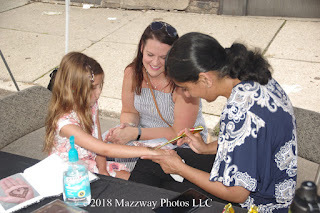 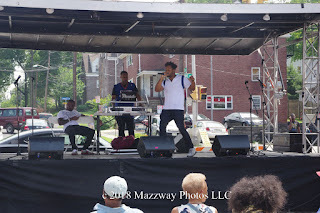 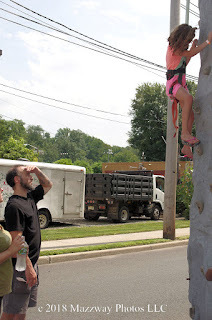 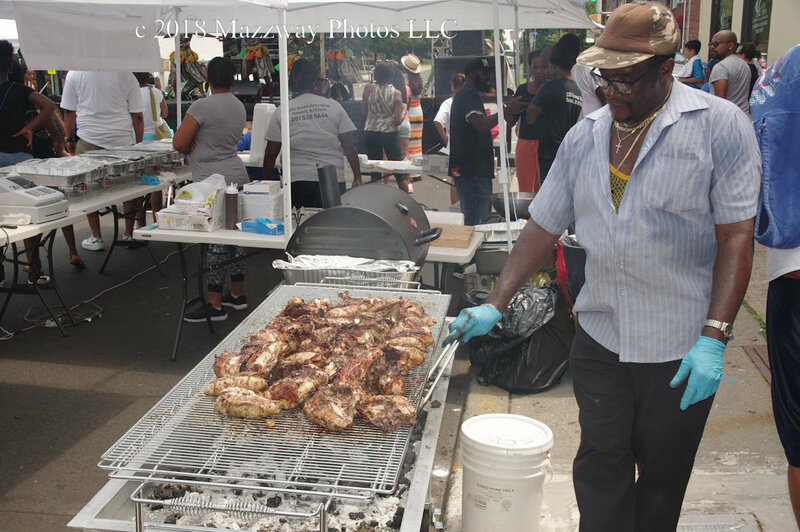 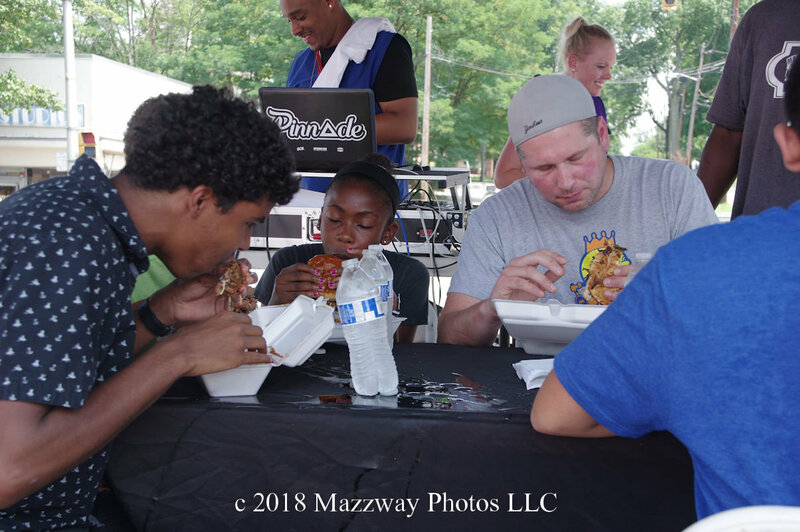 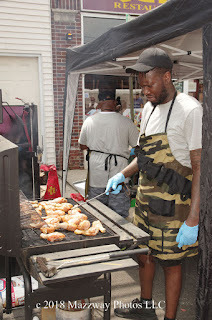 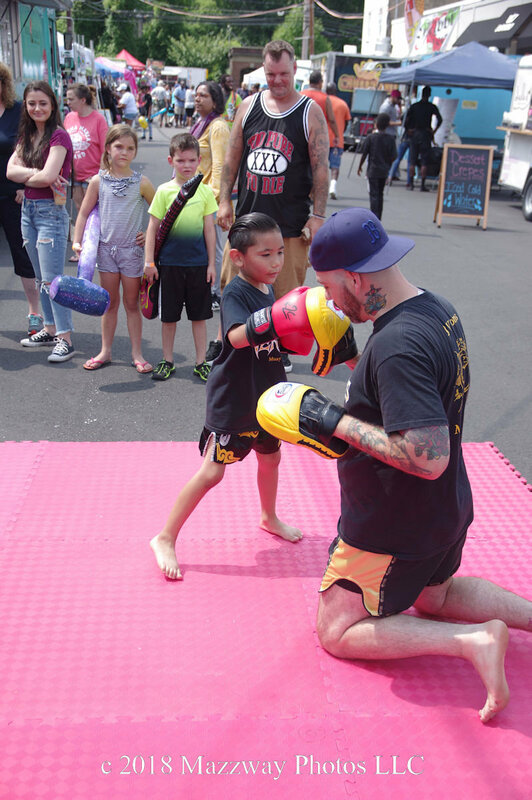 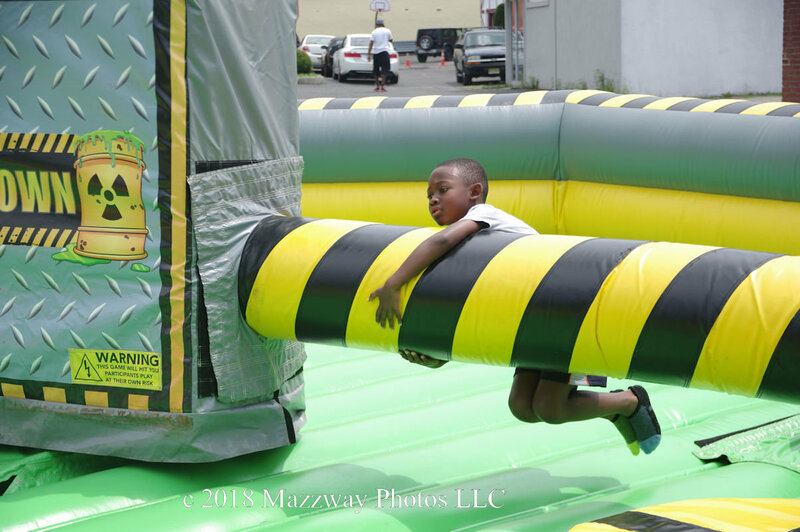 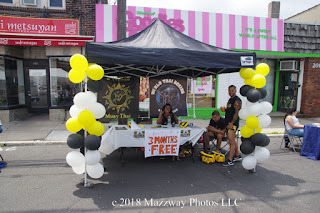 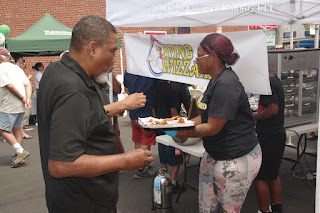 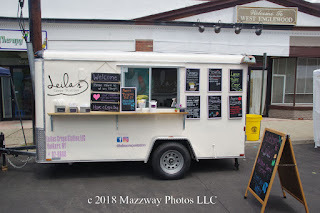 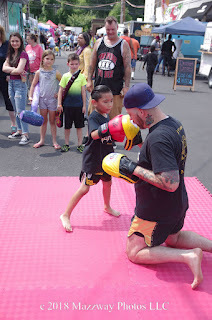 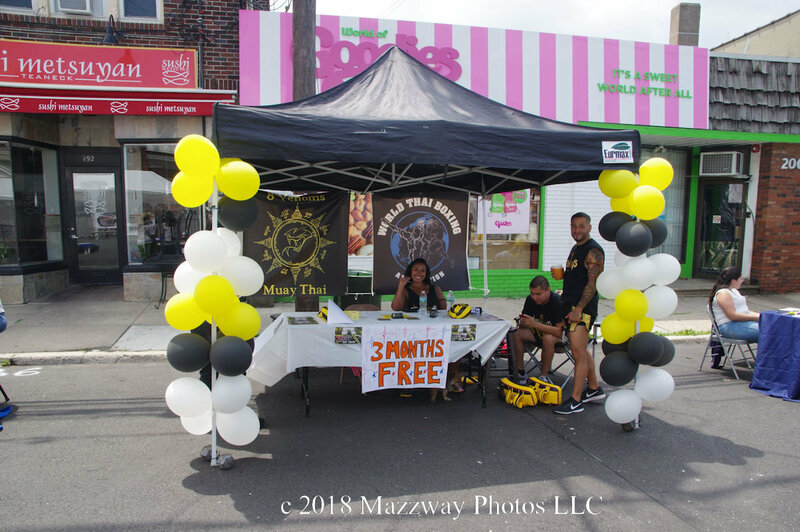 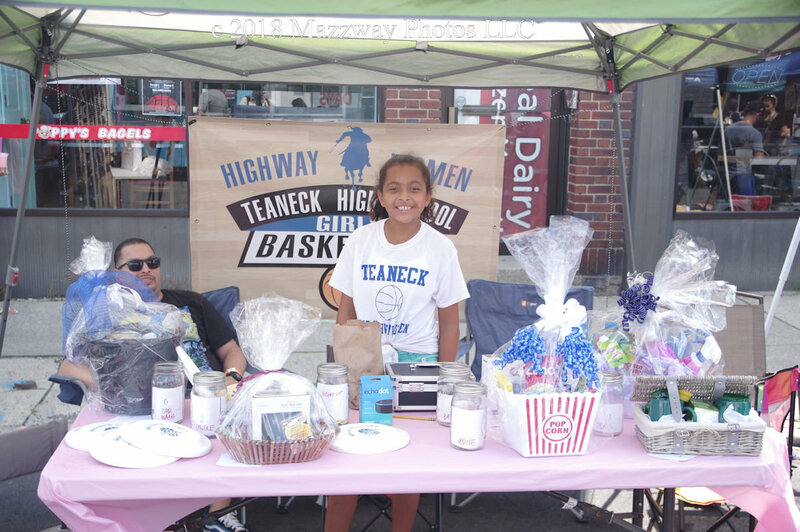 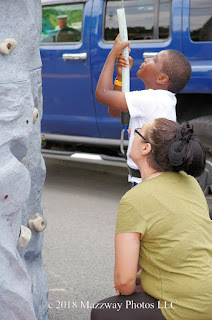 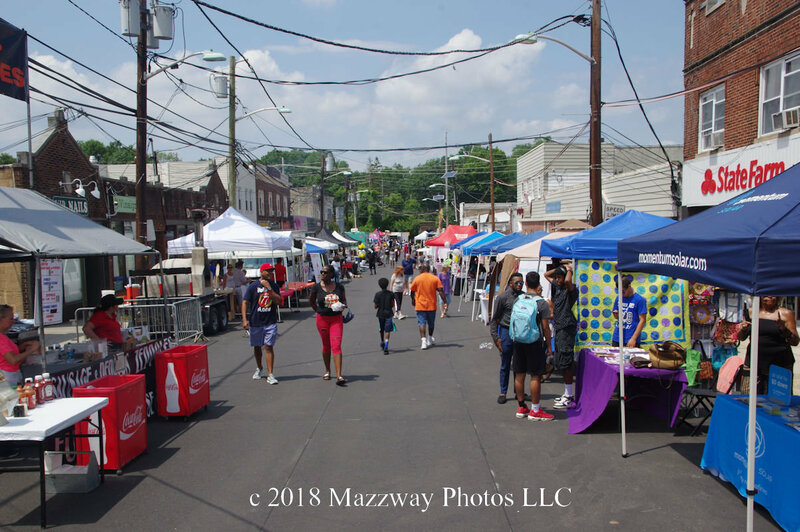 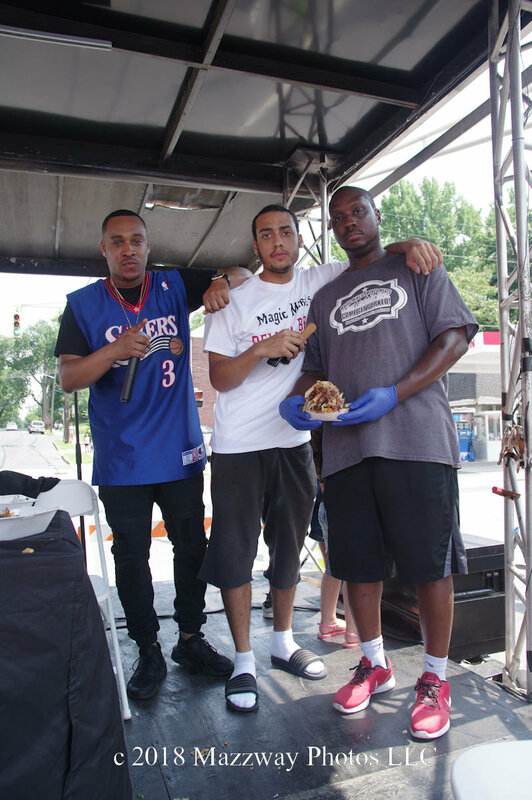 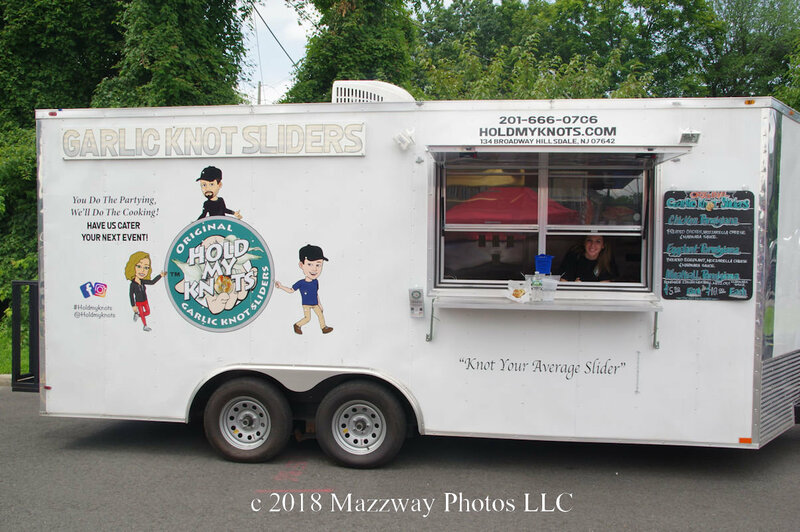 On Saturday-28-July the first Teaneck Street Fair was held in the the West Englewood section of the Township. This was held West Englewood Ave between Queen Anne Rd, and Palisades Ave. 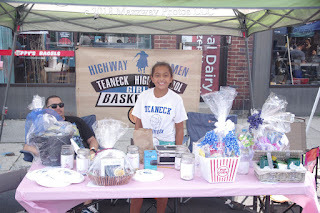 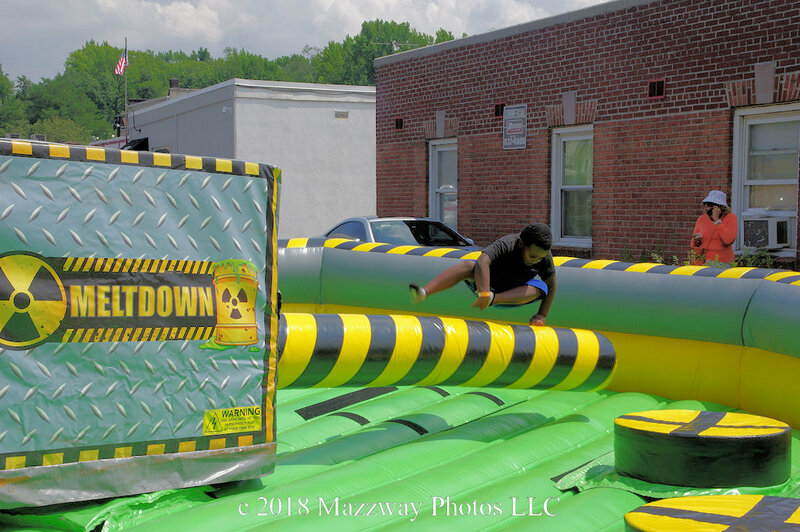 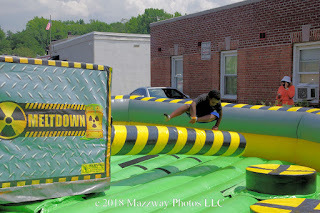 This event was sponsored by Harmon Concierge and Event, in cooperation with the Township of Teaneck. 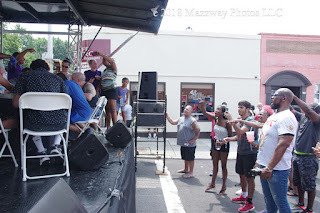 On the east end of the fair there was a stage which offer live entertainment throughout the day. 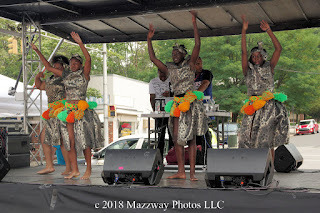 A number of local musicians and dance companies perform for the attendees. 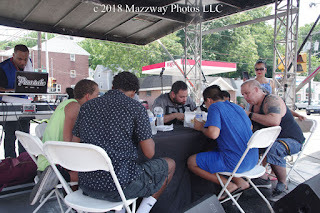 There were also a few eating contest during the music breaks. 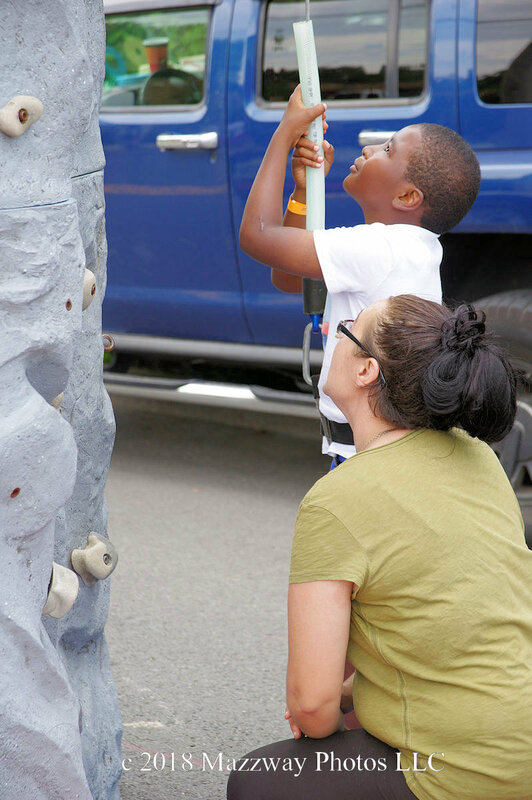 On the west side of the fair bounce-houses, and a climbing wall were set-up for children to play on. 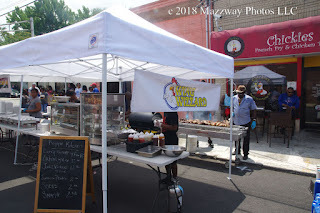 In between there where local merchants booths available to look, along with a large variety of dinning choose available. 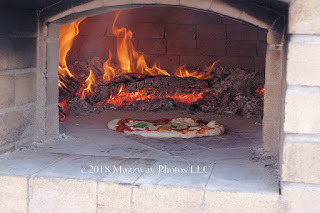 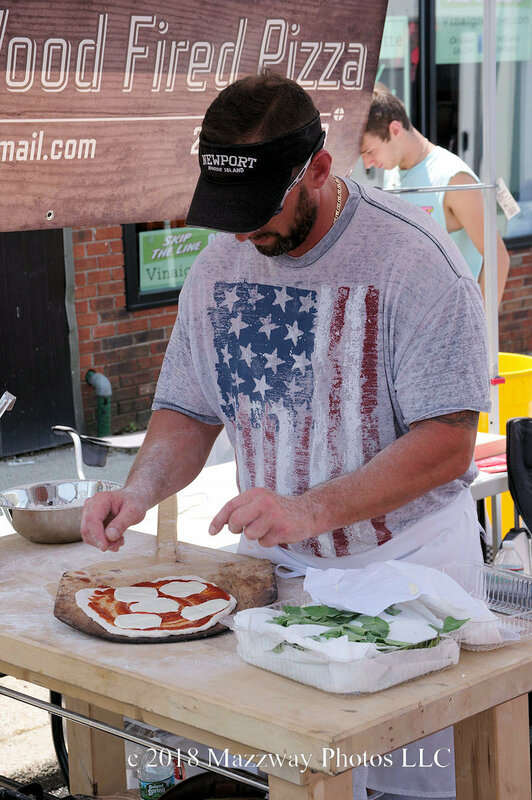 Food trucks from around the area offered items form Churros & Crepes , to Bar-B-Que Chicken & Ribs to Wood fired Pizza. 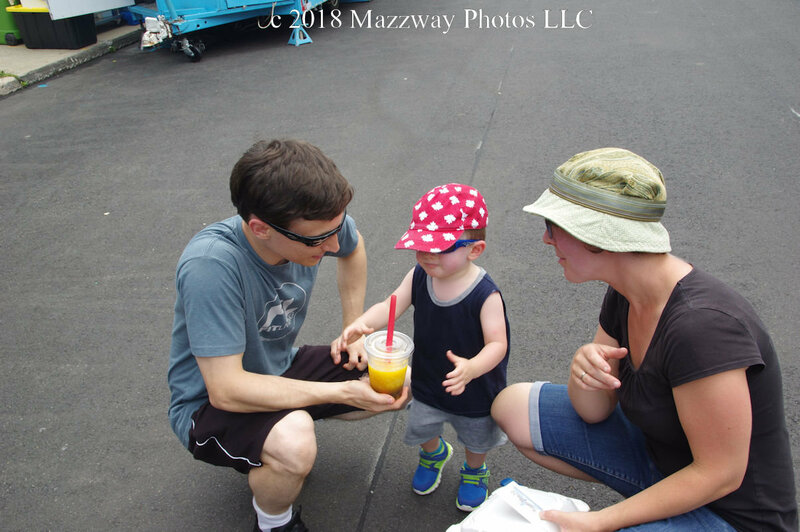 There was also plenty of choices of drinks and Ice Creams to cool down while sending time relaxing on a hot summer's afternoon.